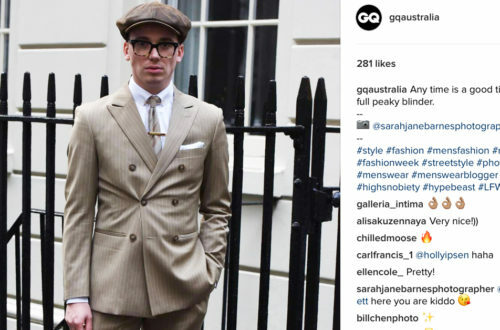 LFWM was a very brief one for me this season. Sadly I only had chance to do the first 2 days which was a bit of a bummer but still nice to head down and see some shows. 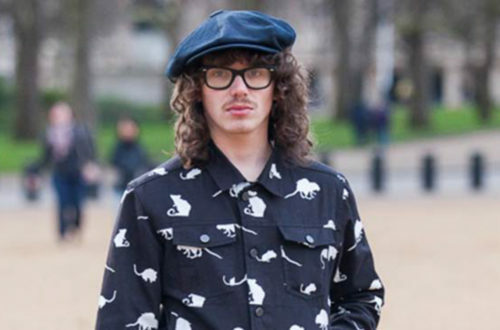 This season marked the 5 years of London Fashion Week Men’s (formerly London Collections: Men) so it was a bit of a let down that I could only do the first two days… Financial troubles, we’ve all been there, but it was a rather fun season and so I thought it was about time I uploaded some of the things I saw and what I wore during the festivities. I finally got a chance to wear my Agi & Sam faux cross-stitch blazer which I absolute love but haven’t had an opportunity to wear yet. There was no real inspiration to my attire today. My vibe was a bit of an 80’s acid-trip Teddy Boy heading to prom. There has been quite a delay on my blog. I’ve recently started a new job which is consuming most of my time so I haven’t been very pro-active with my blogging. However, it’s a great job that I am absolutely loving and it will give me chance to earn some more money for new treats and trinkets. Hopefully wanting to get back into a few fashion projects as well as i’ve not really had much opportunity to shoot anything and i’m starting to feel a bit art redundant. Anyway, ramble over. 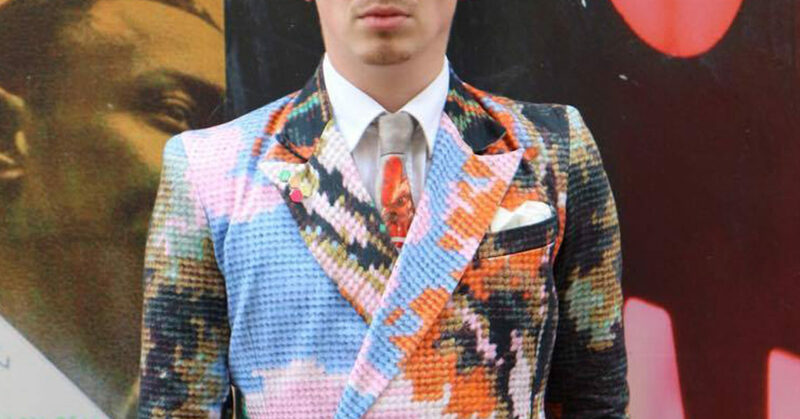 Thank you to my good gal pal Amy Alice Platt for taking this snap of me during the fashion week escapades. It’s always nice to catch up with her as I don’t often get the opportunity. I was Amy’s student mentor at university and my word me and this girl had some good banter. Lots of love to this one! 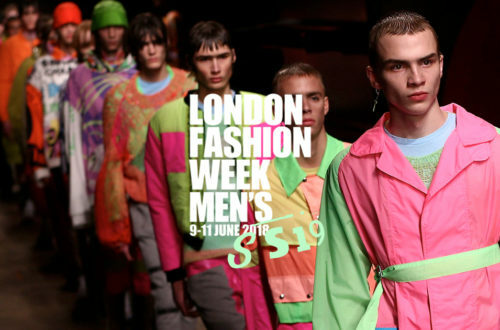 London Fashion Week Men’s SS19 — Here We Go Again!